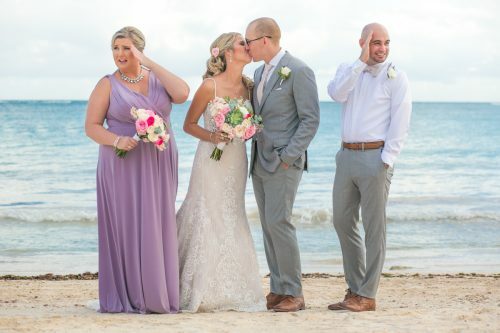 Nicole and Eric are Fun In the Sun Weddings’ newest newlyweds! 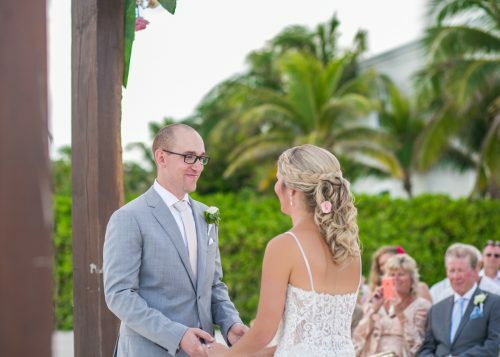 For our bride, Nicole, her destination wedding in Tulum was a Pinterest board come to life. 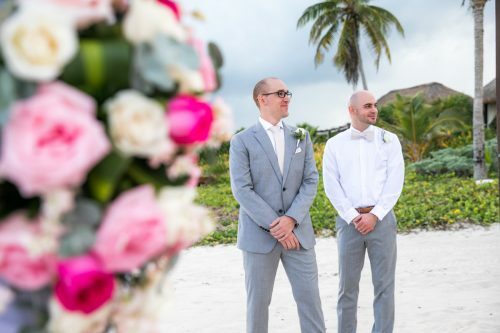 Nicole and Eric met while working for the same accounting firm in the Cayman Islands. They started dating immediately. 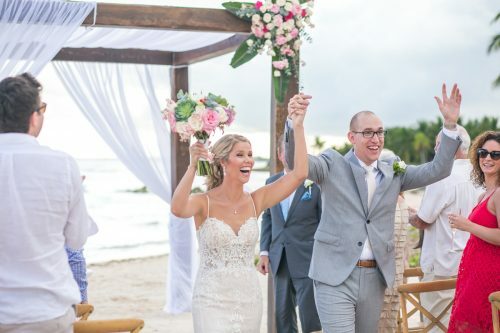 With Eric from Michigan and Nicole from Winnipeg, a destination wedding in one of Nicole’s favorite vacation spots seemed like a fair and fun way to manage their guest list. Plus their intimate wedding would be the first time most of their family would meet, so why not give everyone a chance to get to know each other in a less formal setting before the wedding day? Add as many custom details as you can and pack décor! It makes the whole wedding a lot more personal for guests. 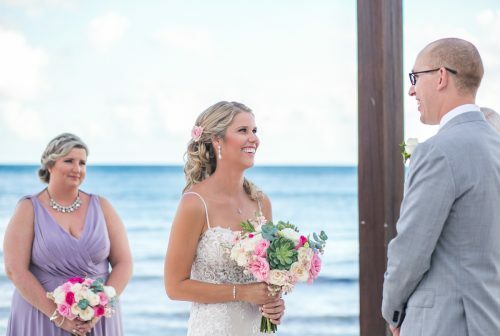 When she walked down the aisle and saw the results of her hard work: the family and friends, the décor, the soft color palette…and of course, Eric…it was exactly as she had pictured it. In that moment, all the worry fell away. They wanted their reception to be romantic and fun. 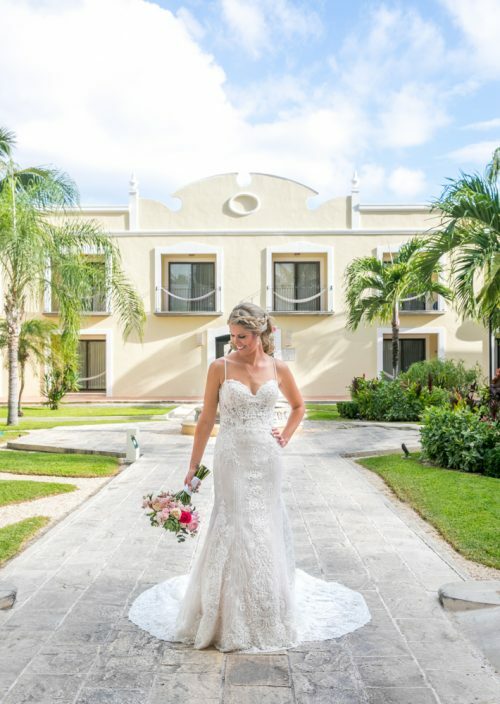 By sending Victoria photos of bright, colorful flowers, and mood lighting with candles, Nicole’s vision for a fun, intimate wedding where guests could mingle and enjoy themselves came to life and exceeded her expectations. Nicole and Eric it has been such a pleasure capturing your picture perfect wedding! We wish you all the best things in life in this next chapter together. Congratulations! Want to know more about Dreams Tulum? Read unbiased reviews on Tripadvisor here. We loved working with Mark and his assistant, they were both so easy to work with and so friendly!